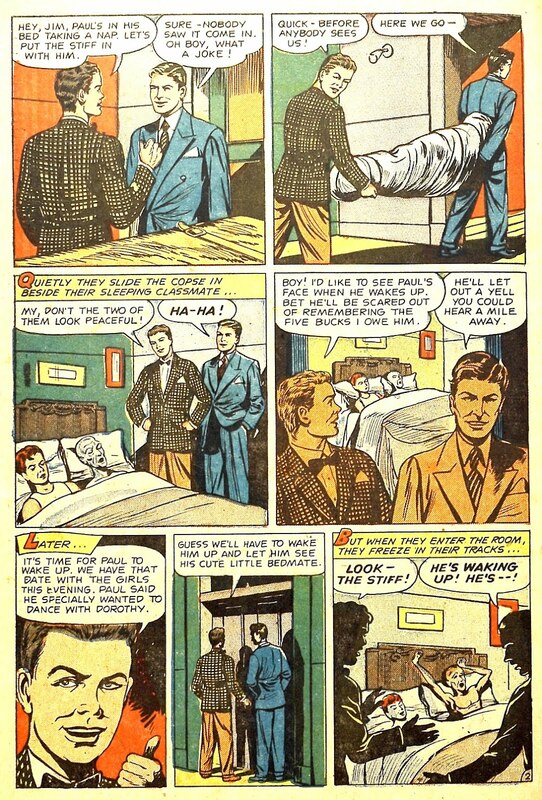 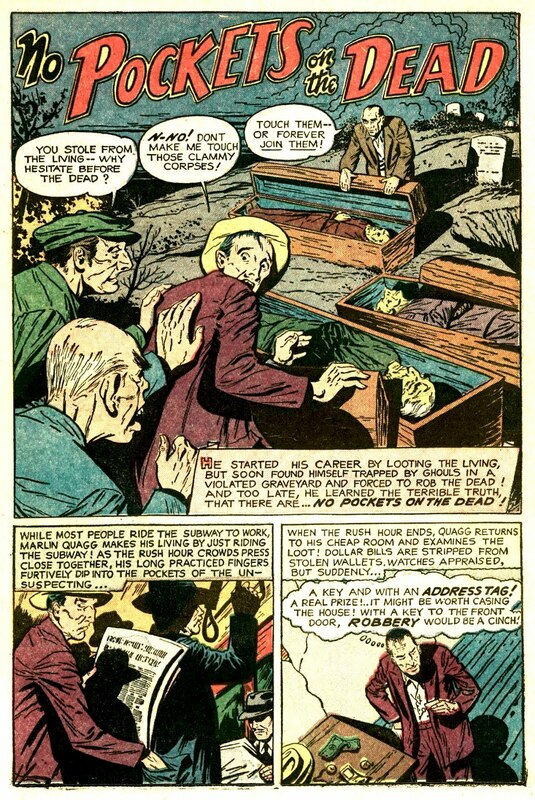 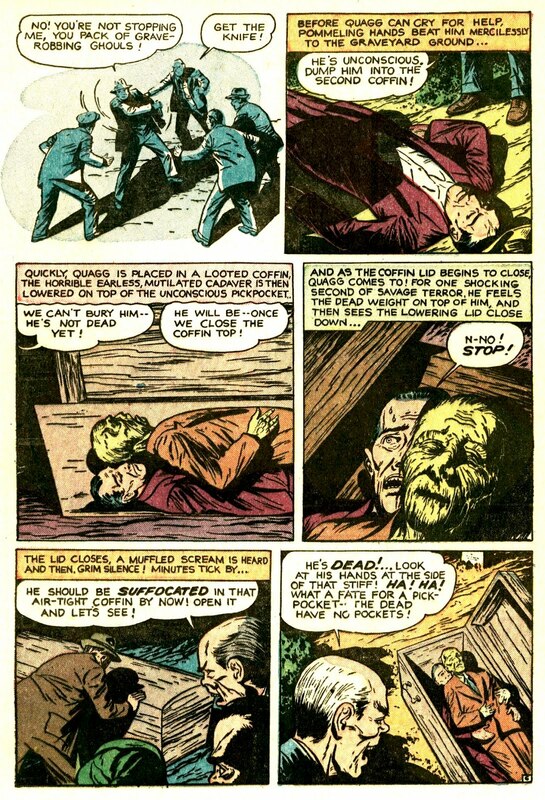 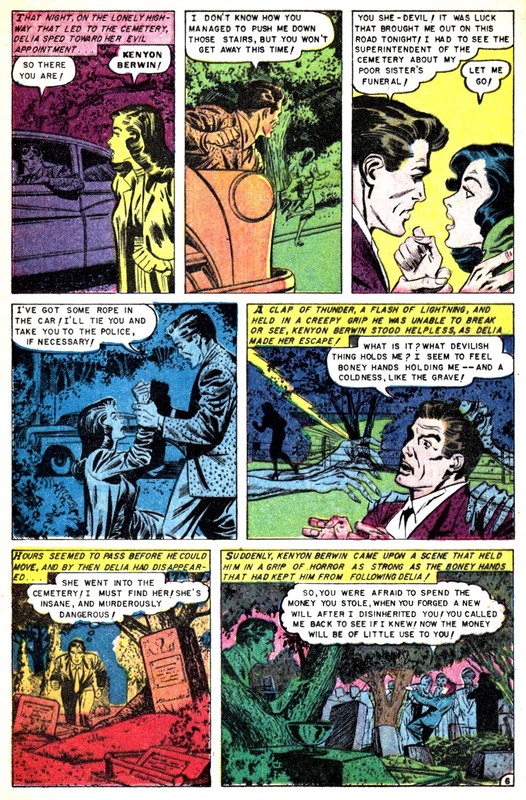 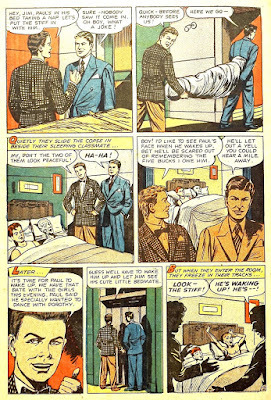 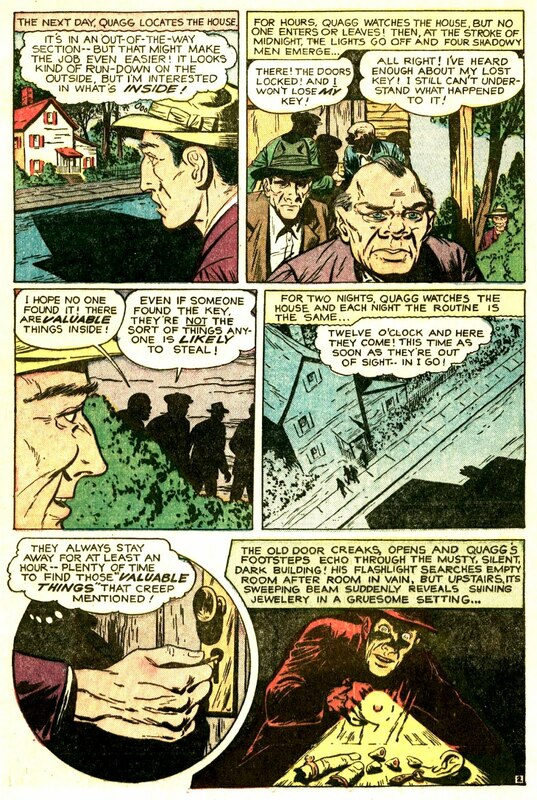 It's been a weird while since we had a good 'ol gag-inducing grave robbin' story around here, so let's try this ominous one on for size from the May 1954 issue of Beware #9, art by Leo Morey. 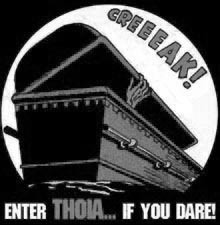 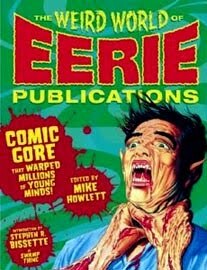 Mmm hmm, fits just like an airtight coffin for two, if I do scream so myself! 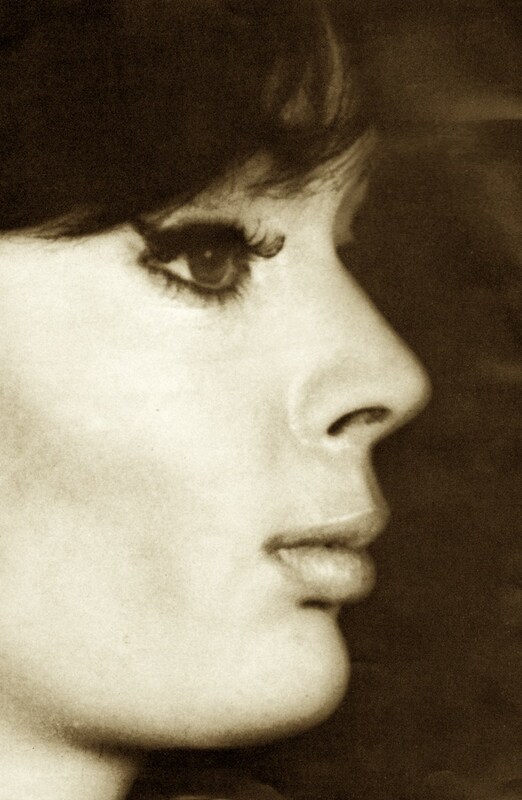 And don't leave before heading over to my other blog today and wishing Barbara Steele a happy birthday! 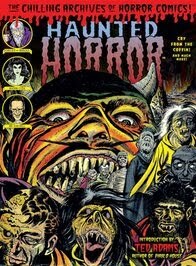 All scream fiends pay your respects by clicking HERE! 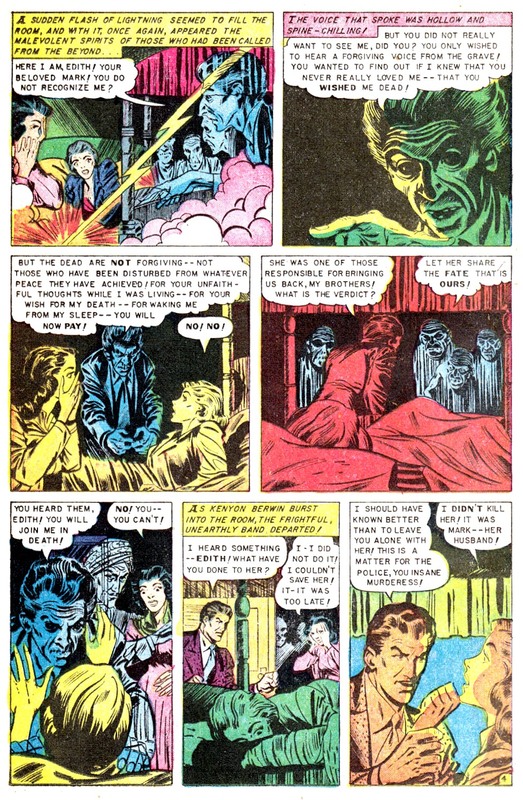 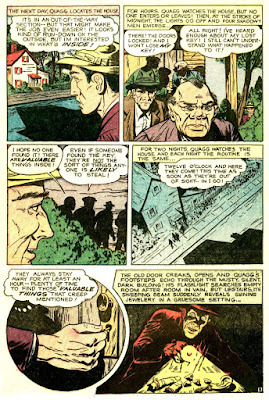 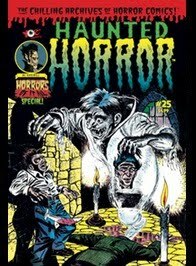 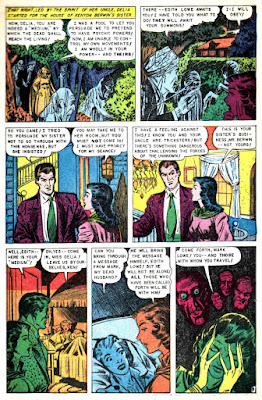 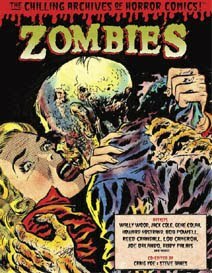 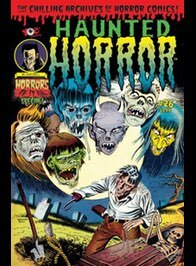 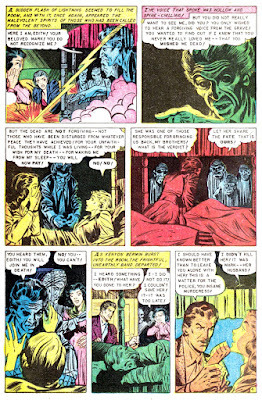 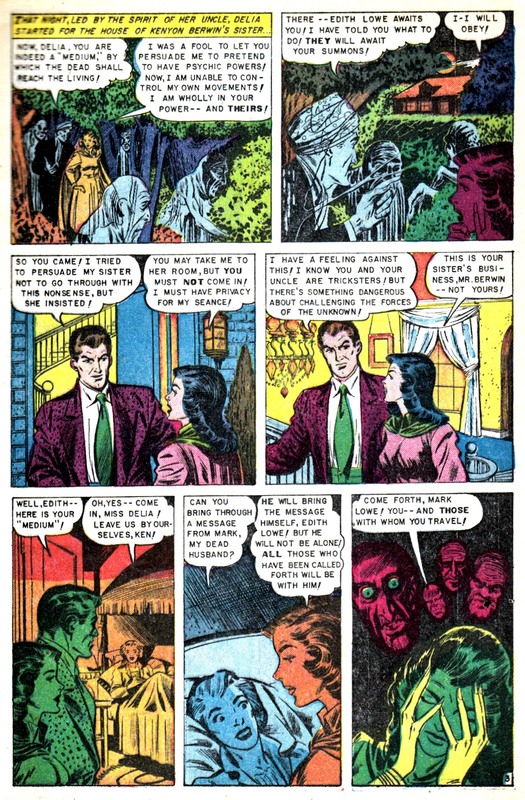 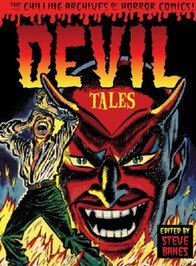 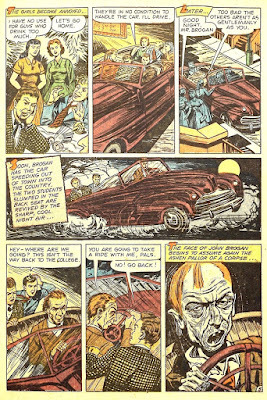 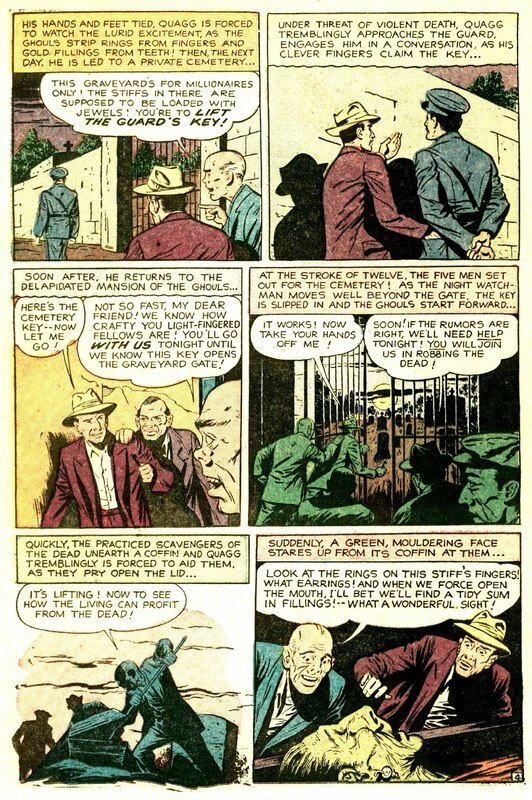 As promised, more ghost stories for xmas, and this tale of terrible vengeance from beyond the gruesome grave materializes from the Sept '52 issue of The Beyond #15, with art by Jim McLaughlin. 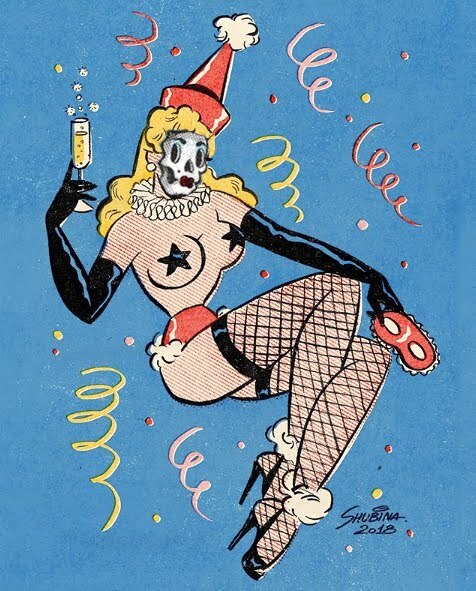 Hope everyone had a great holiday and a great year... we'll be finishing out December and 2018 on a few more rather spooky high notes-- so stay tombed! 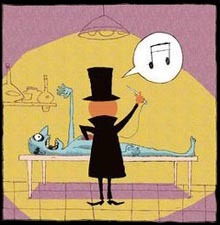 Let's take a tip from the great, M.R. 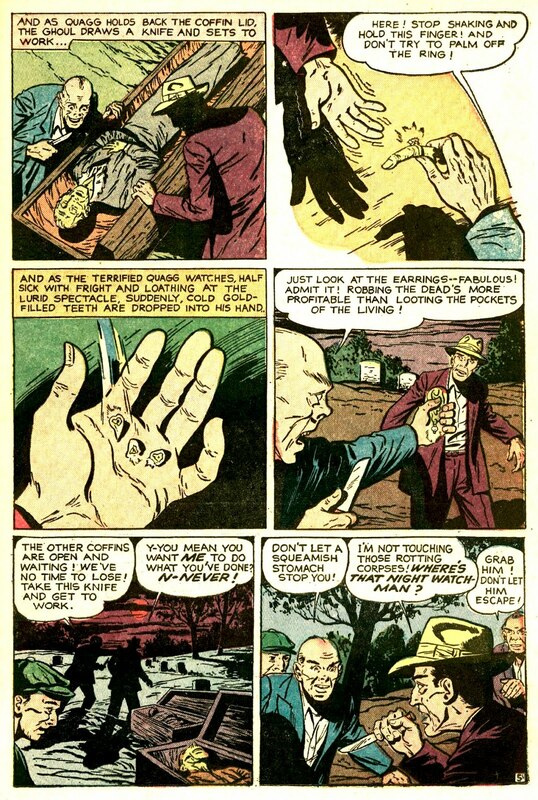 James, and summon up a few ghost stories for xmas this season, shall we? 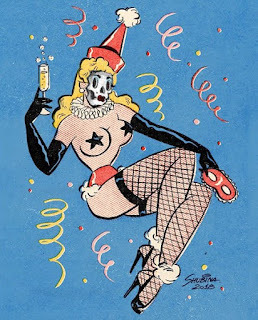 But oh, wait a minute, we're still in titillating Torchy mode, --so let's goof off a little more with some grins 'n giggles and those gorgeous gams as only the great Bill Ward can draw 'em! 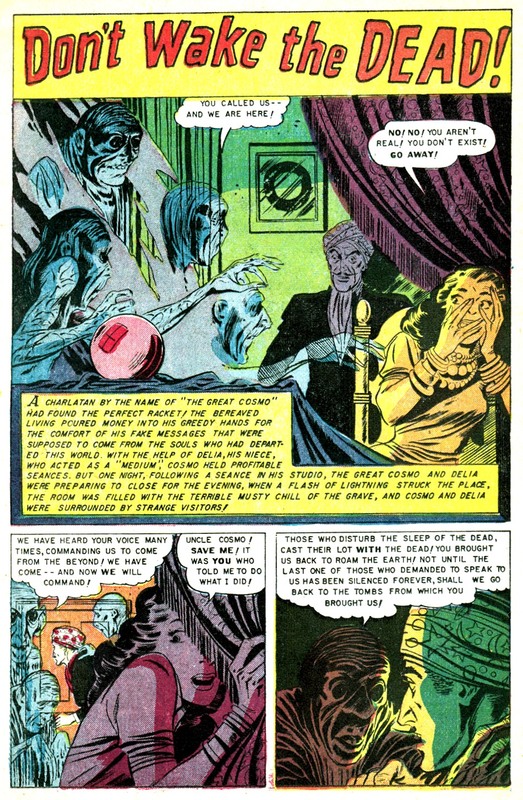 Our next post will be a much spookier tale, I promise! 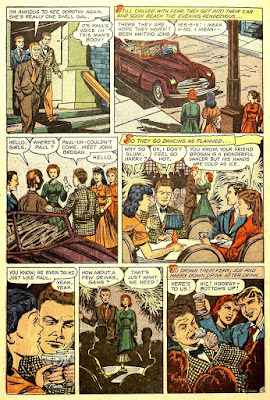 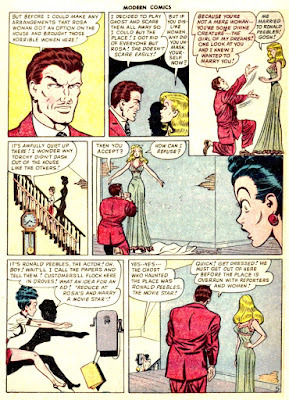 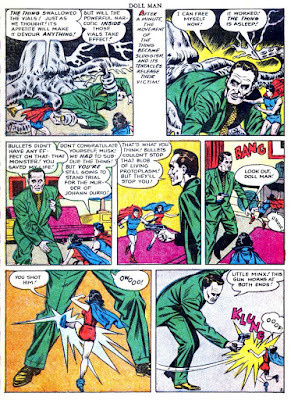 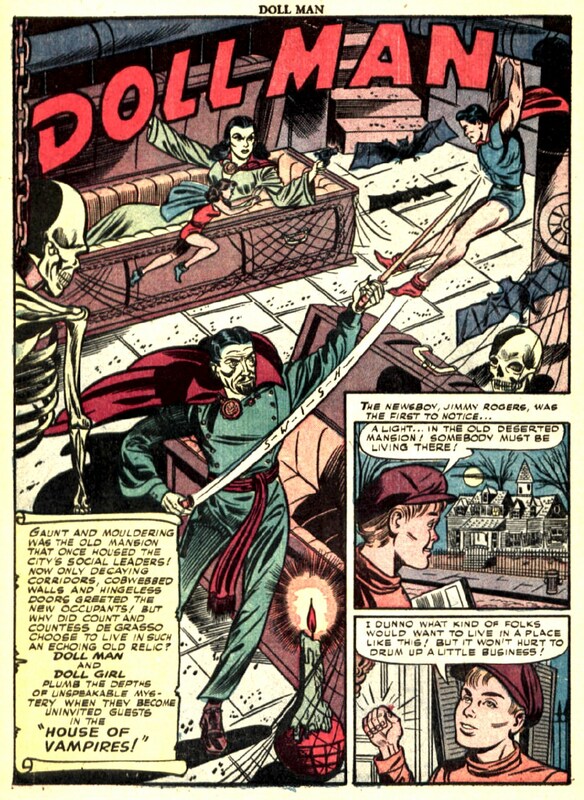 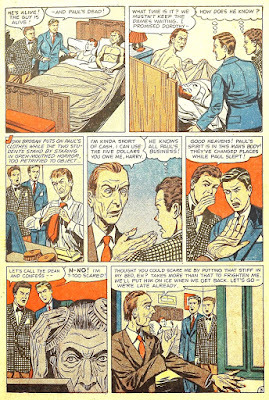 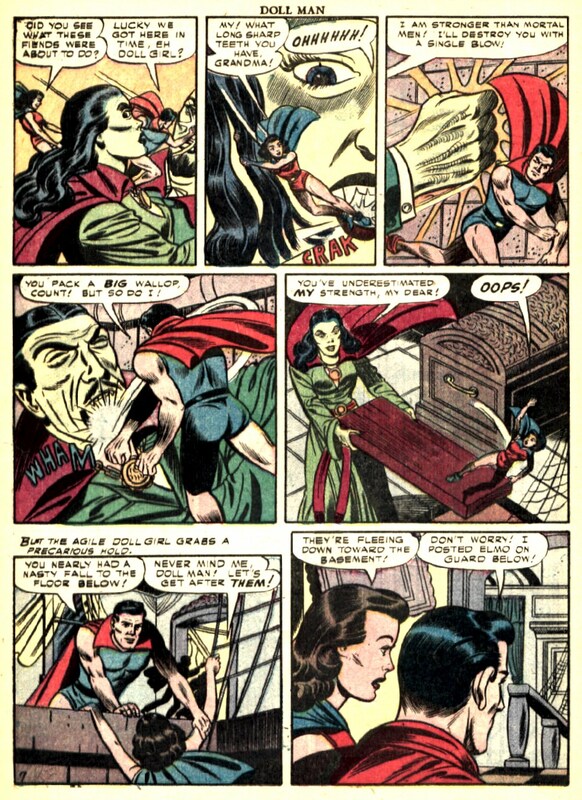 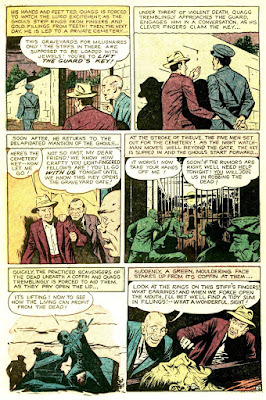 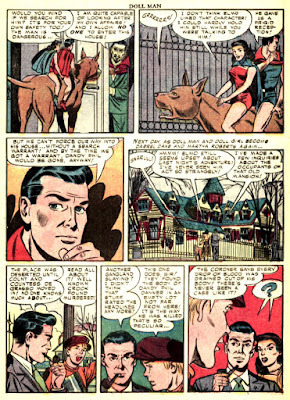 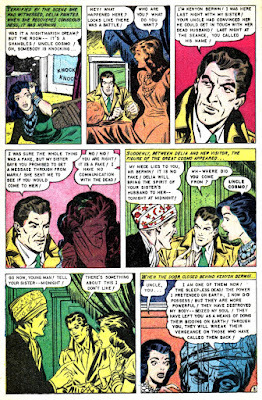 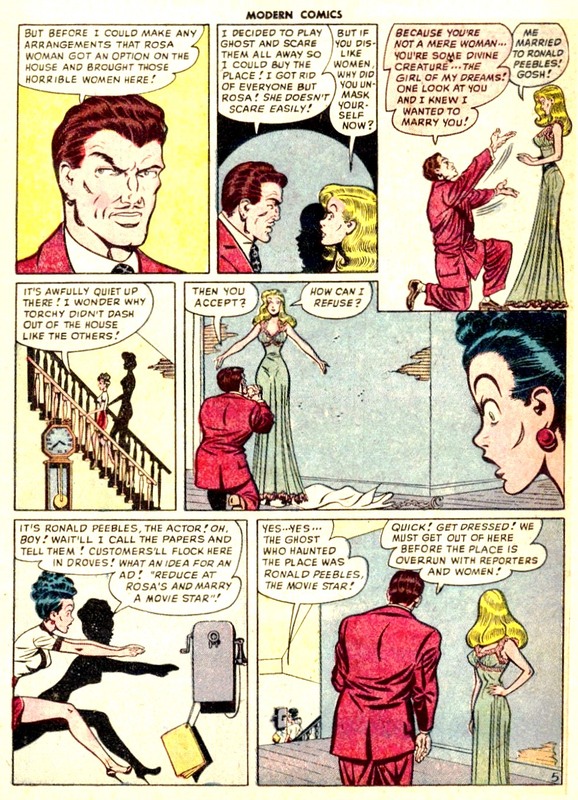 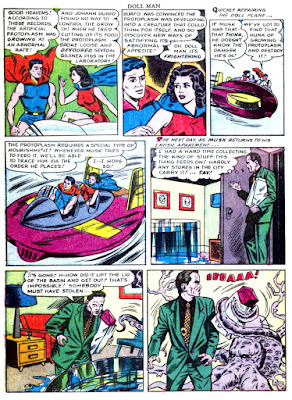 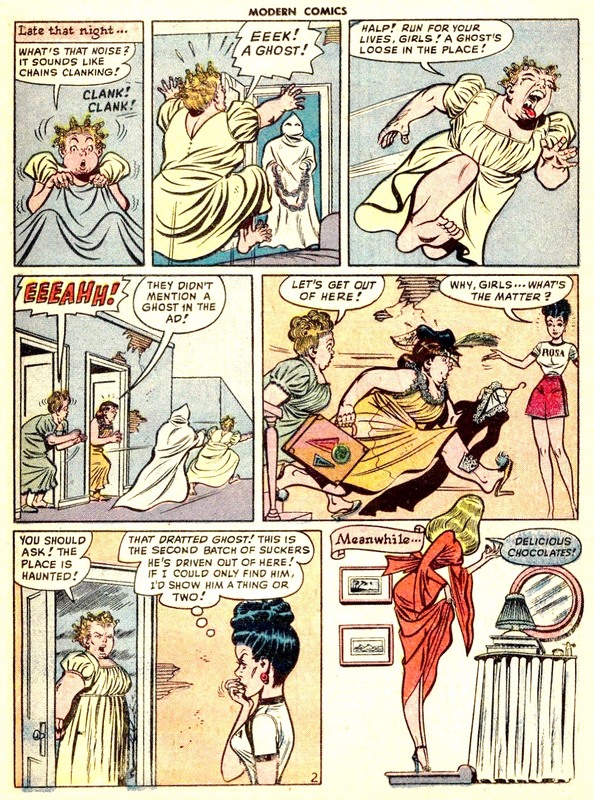 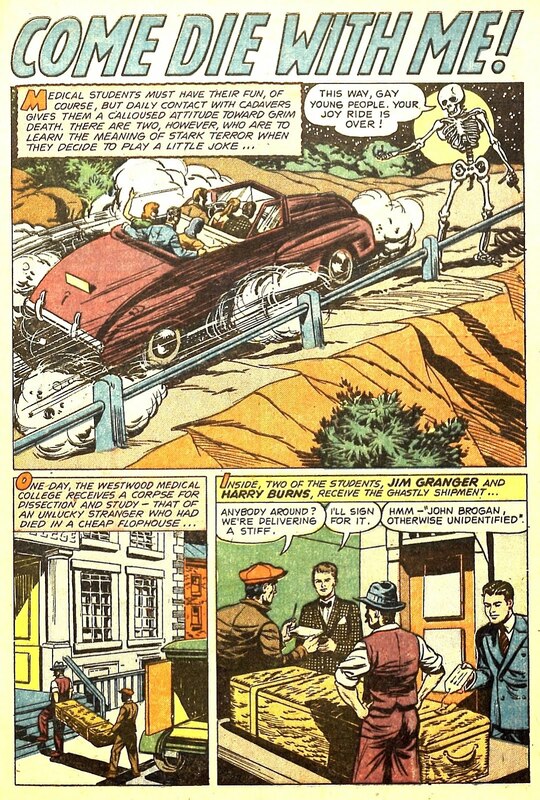 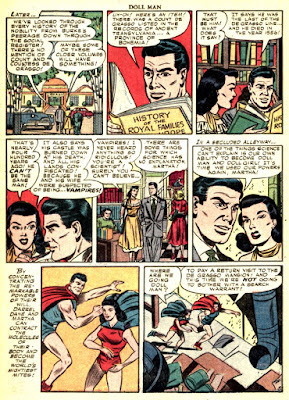 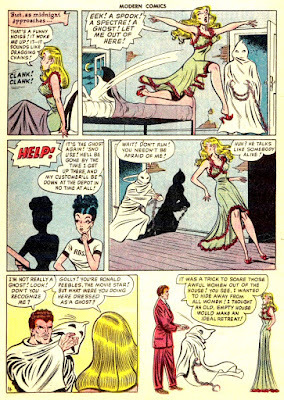 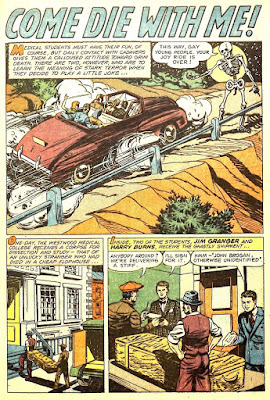 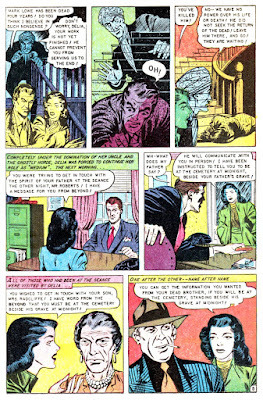 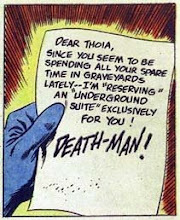 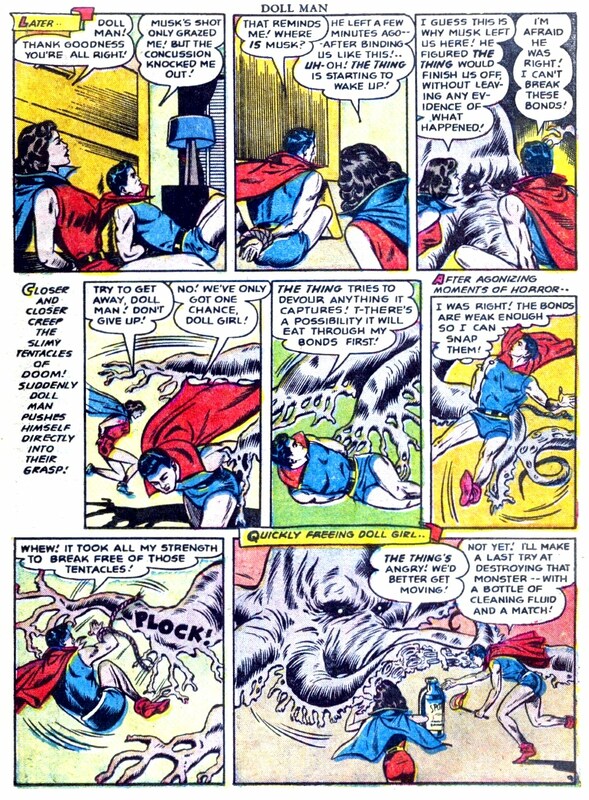 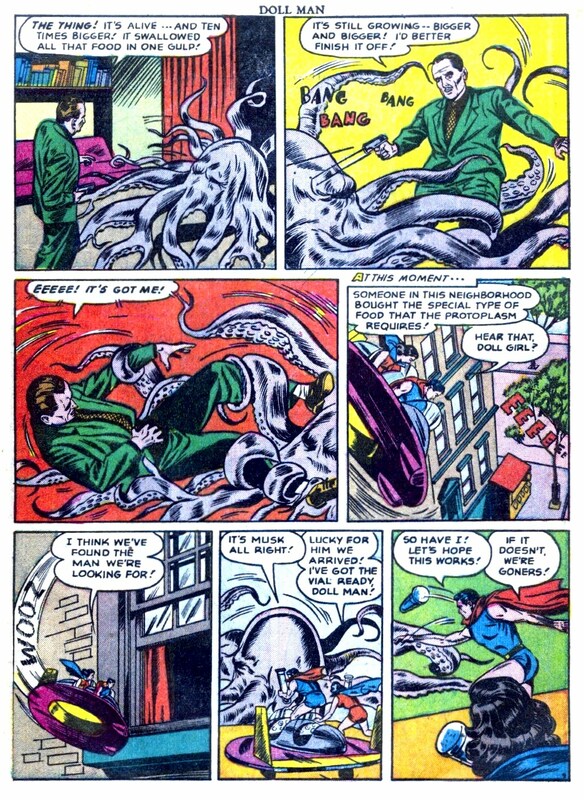 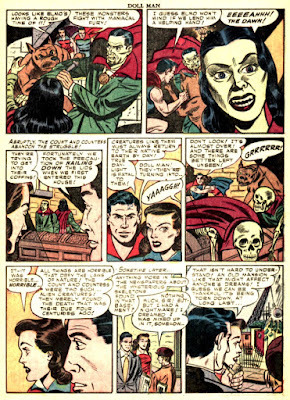 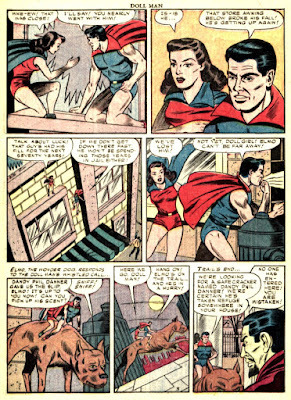 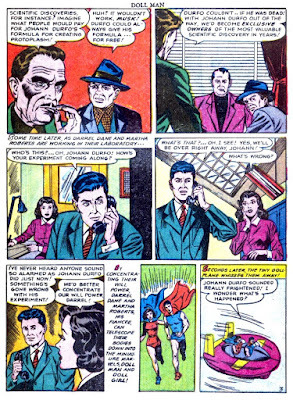 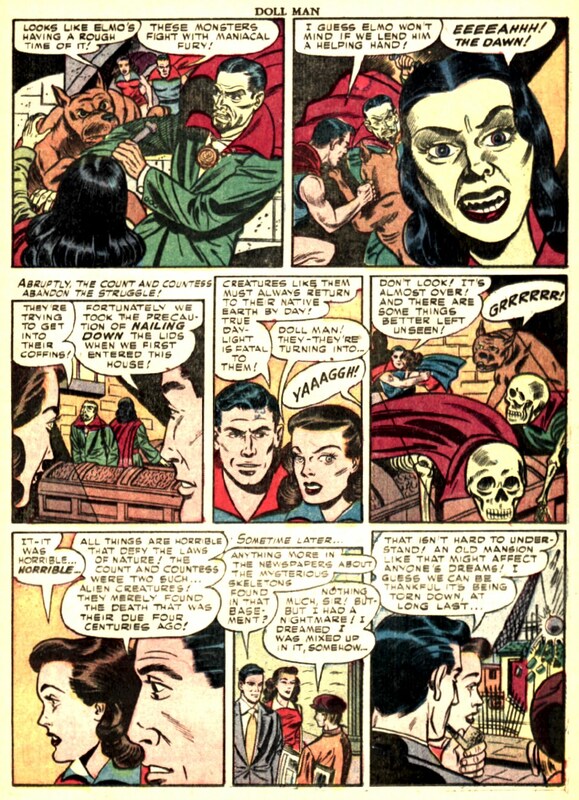 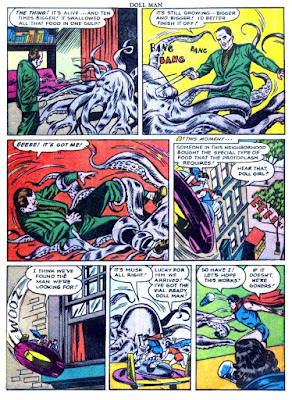 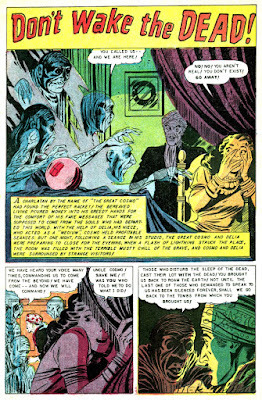 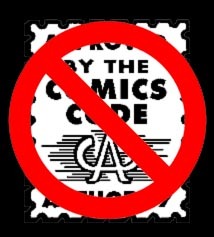 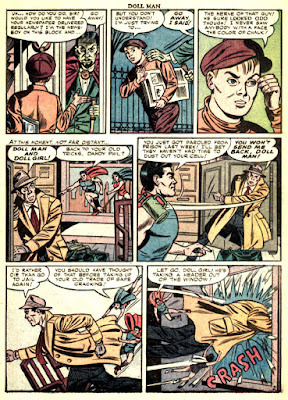 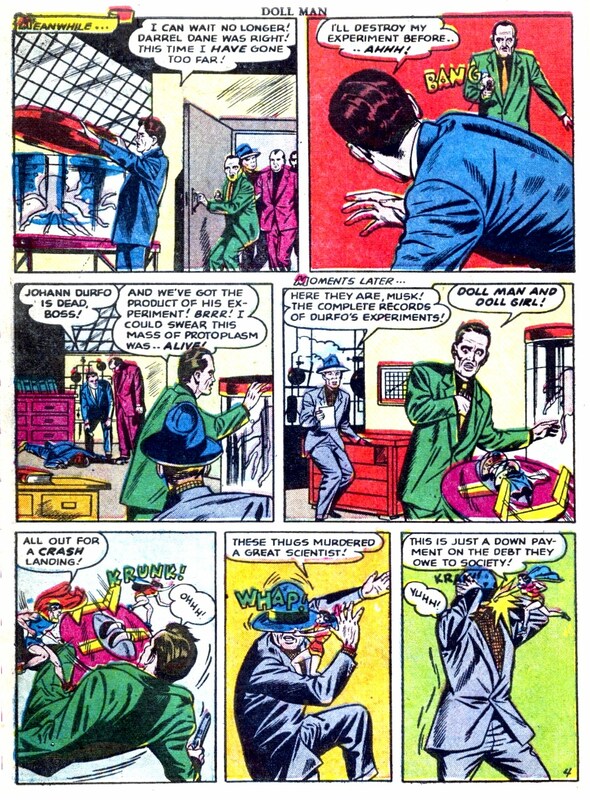 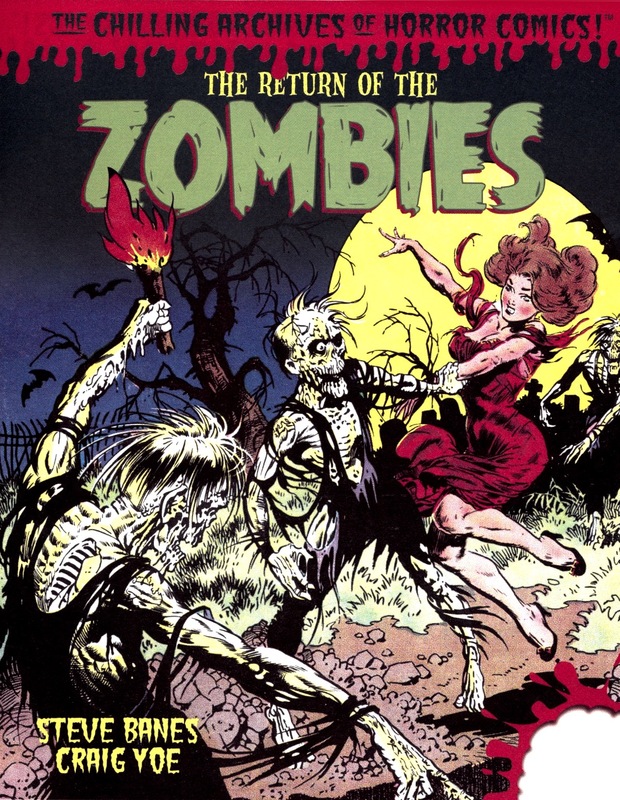 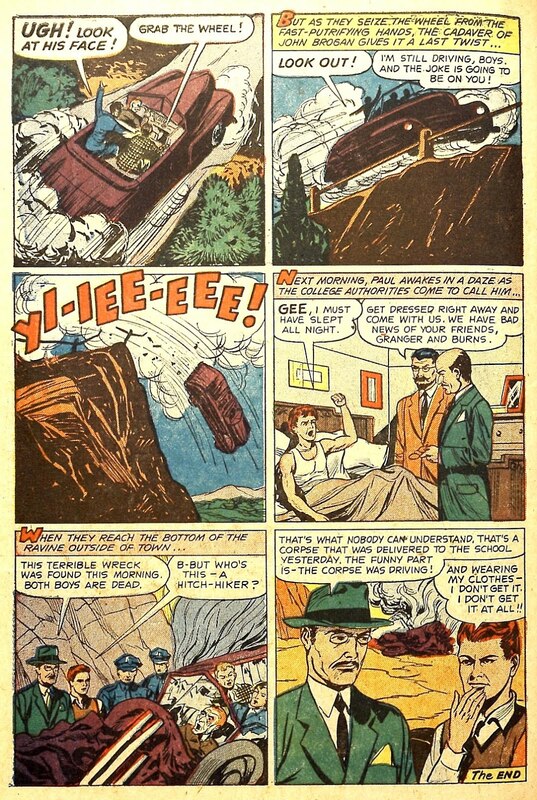 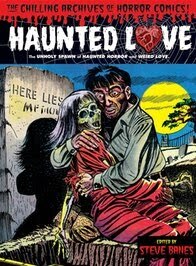 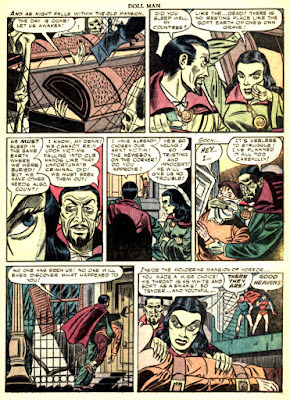 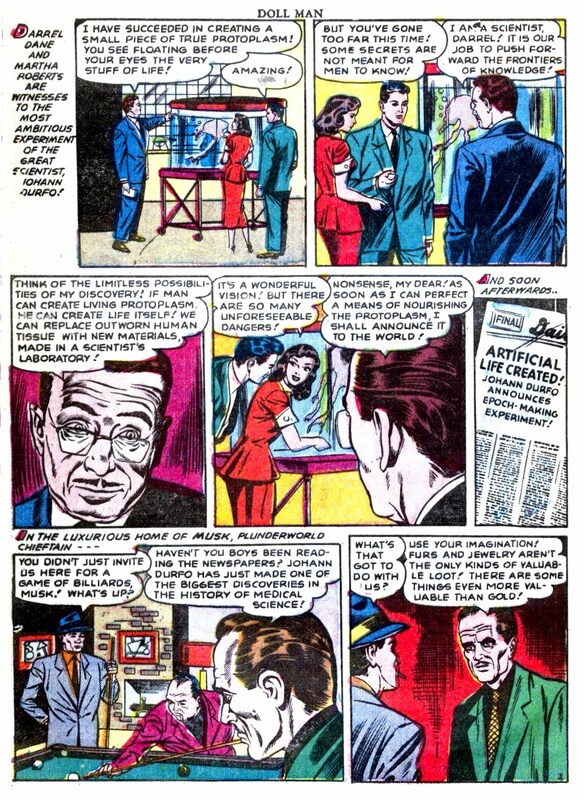 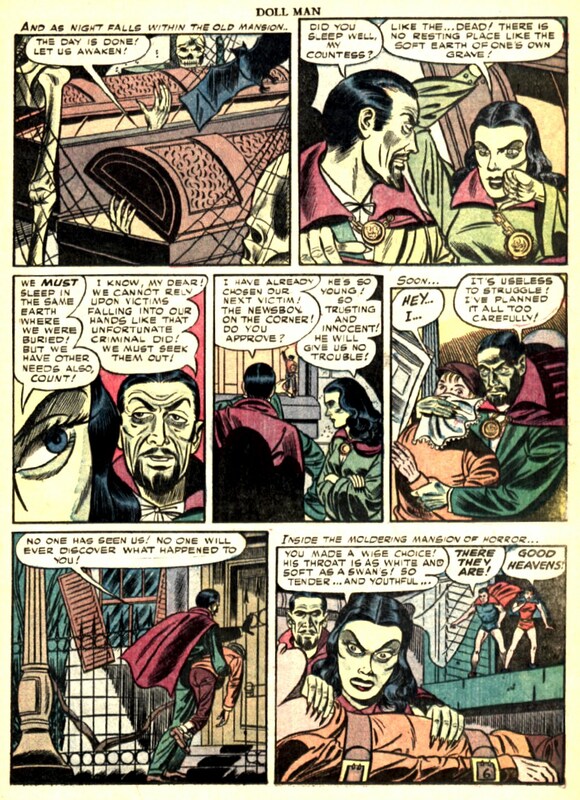 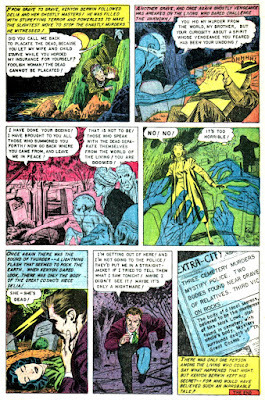 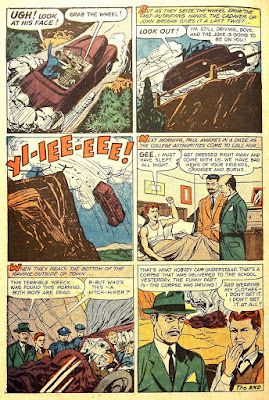 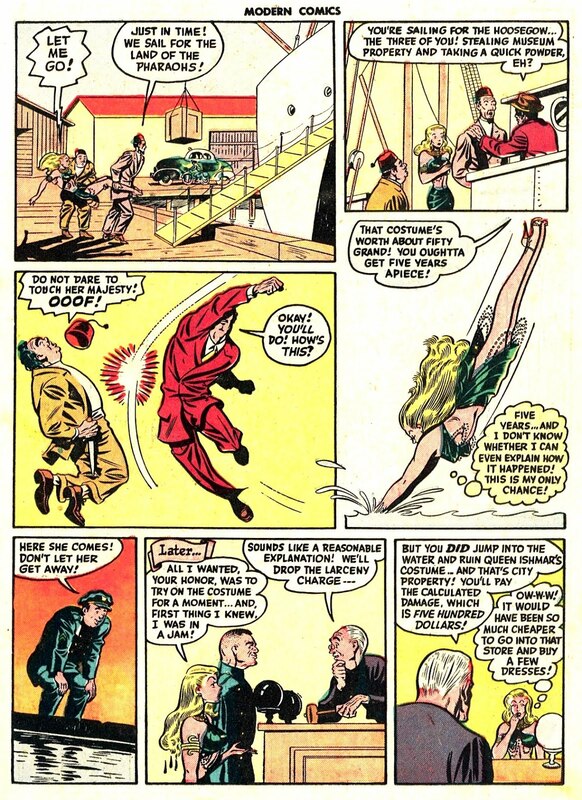 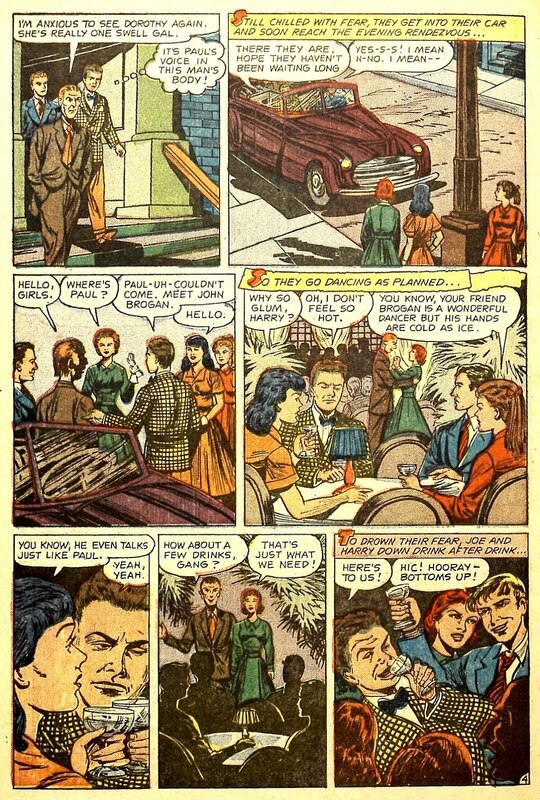 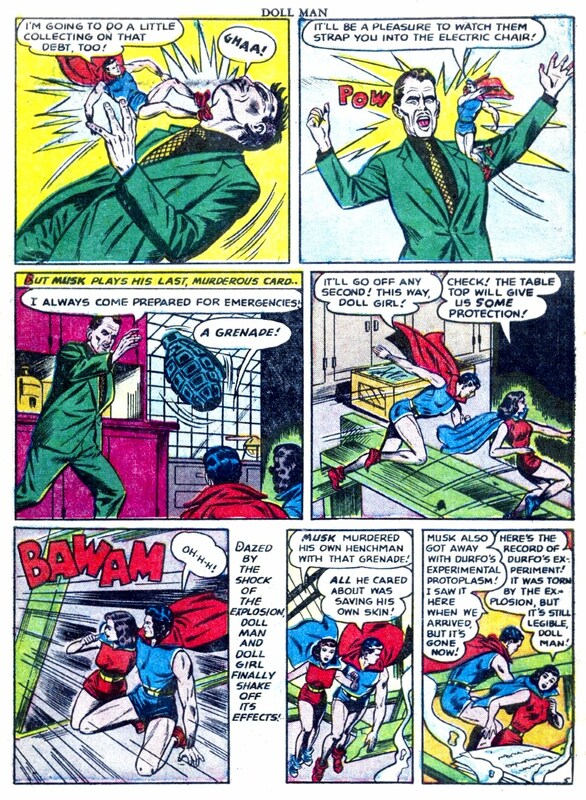 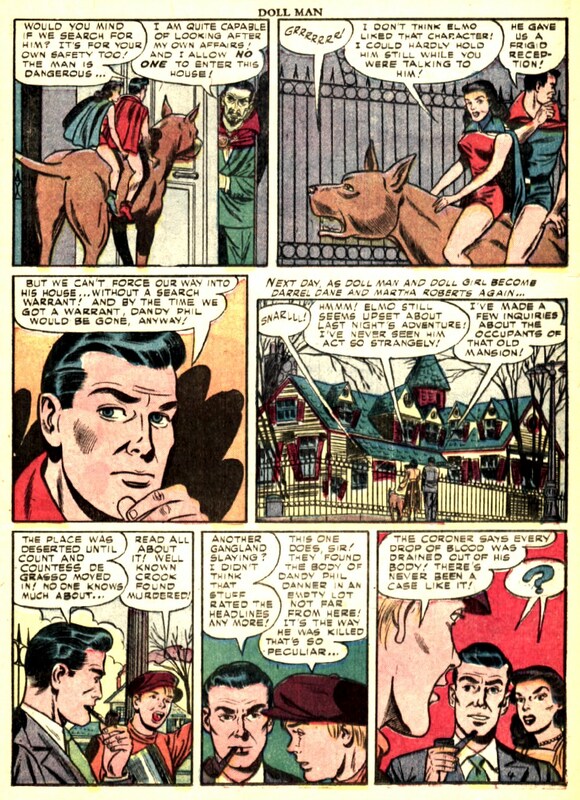 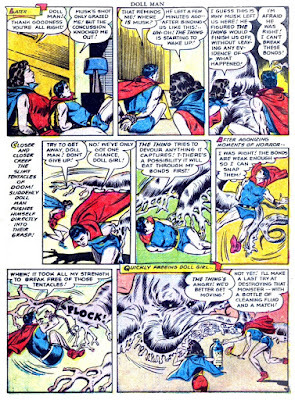 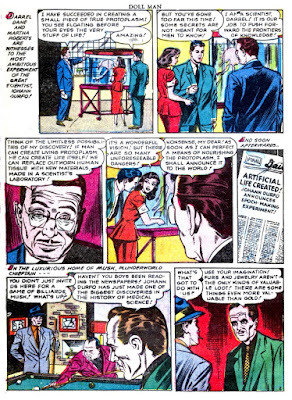 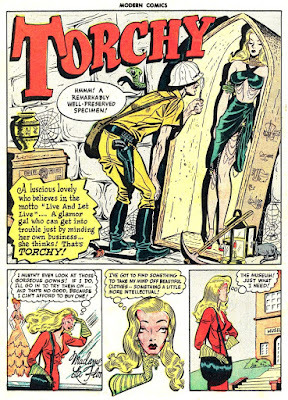 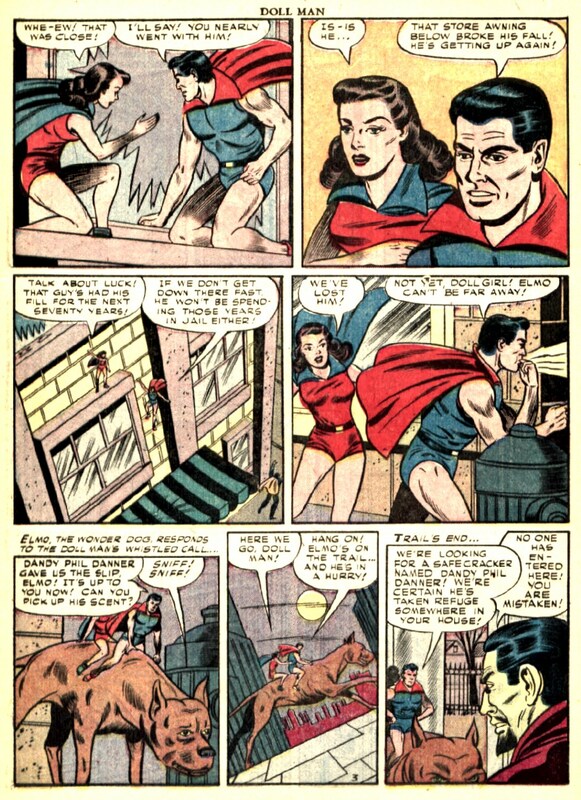 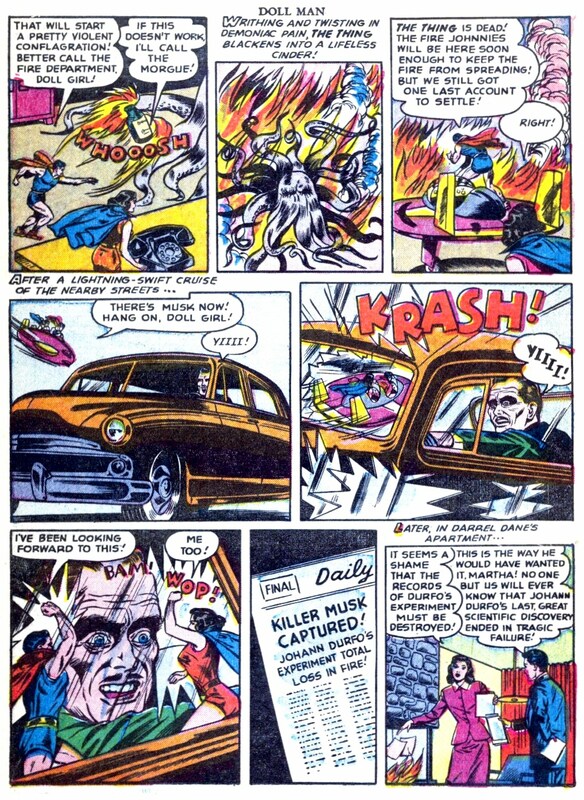 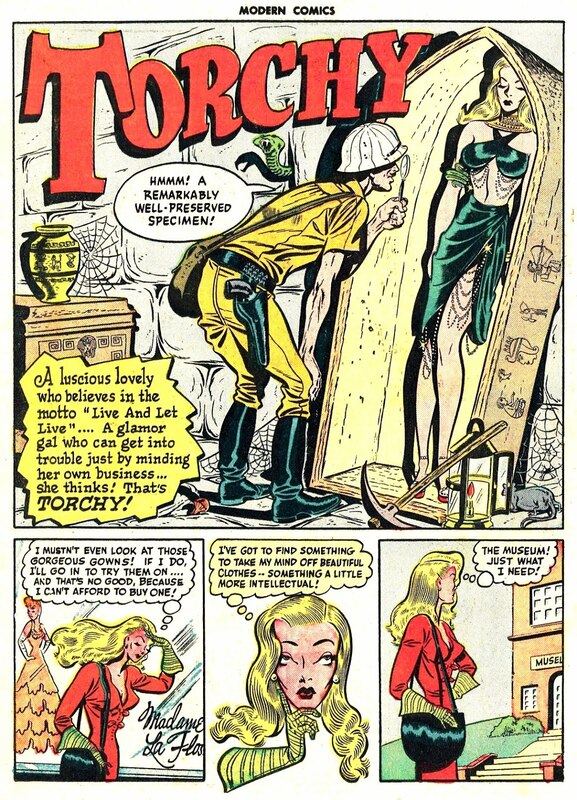 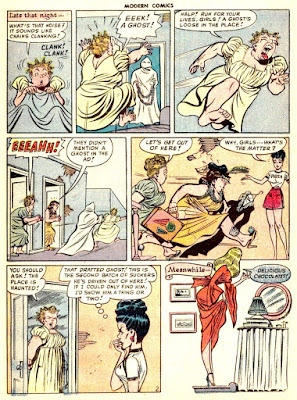 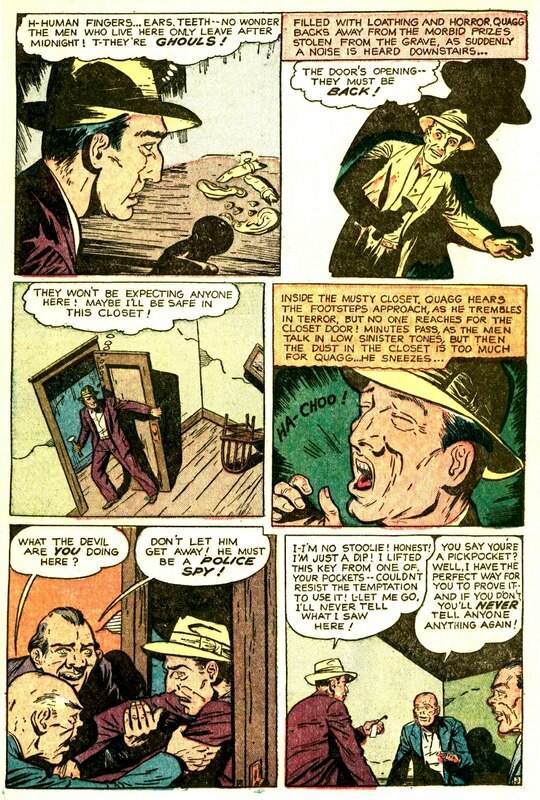 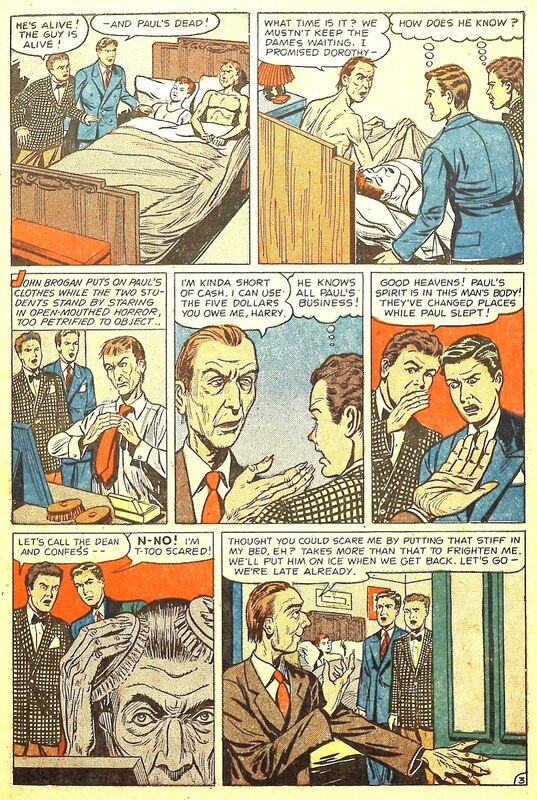 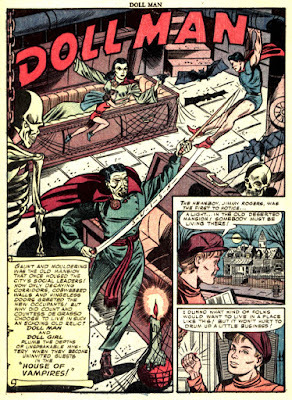 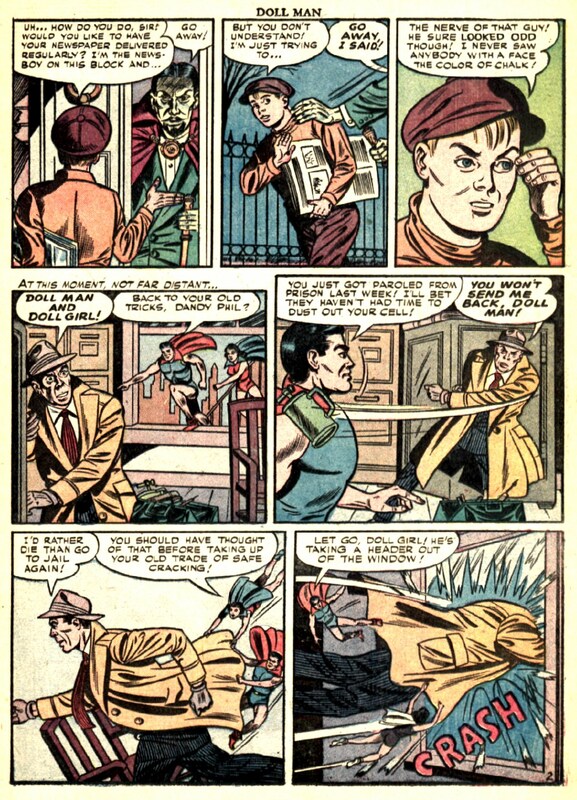 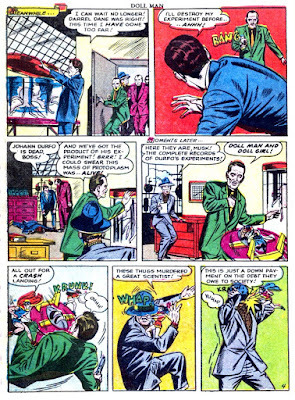 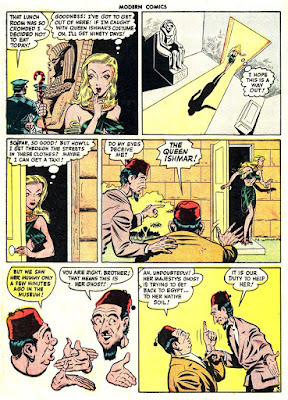 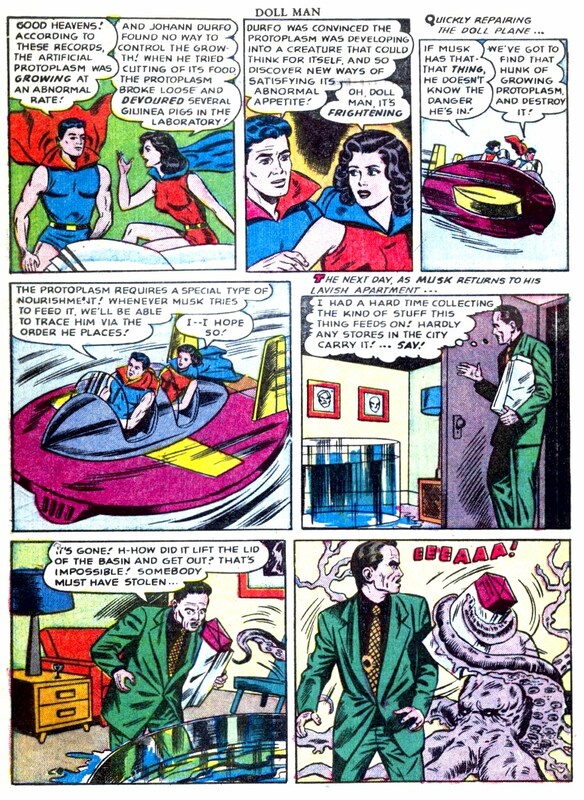 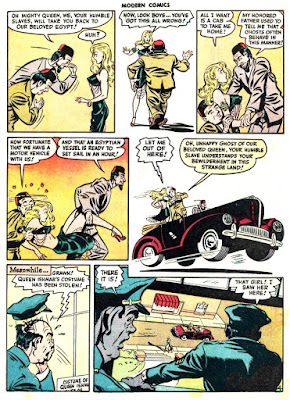 From the July 1949 issue of Modern Comics #87. 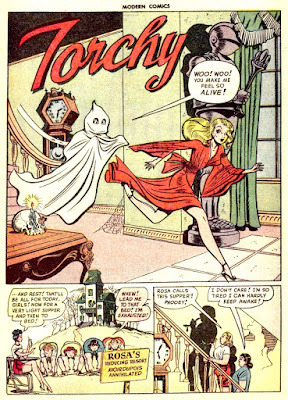 Wanna see more Torchy here at THOIA? 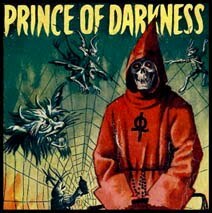 Comment NOW! 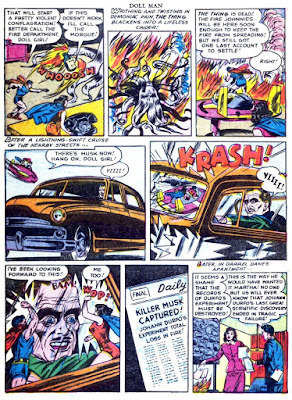 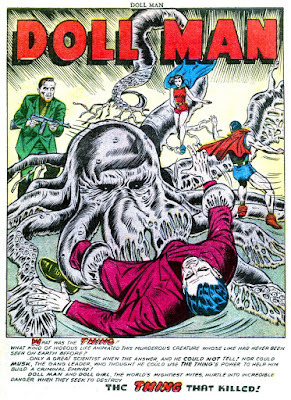 Three's a charm, as we take a look at one more woppin' Doll Man and Doll Girl monster mash, this time from the December 1952 issue of Doll Man #43, and illustrated by Art Gates. 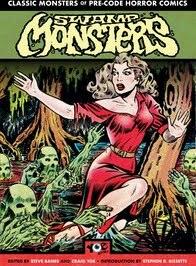 It's a musky (haha) tale of science gone horribly wrong, and one highlighted by a terrifically disgusting looking creature! 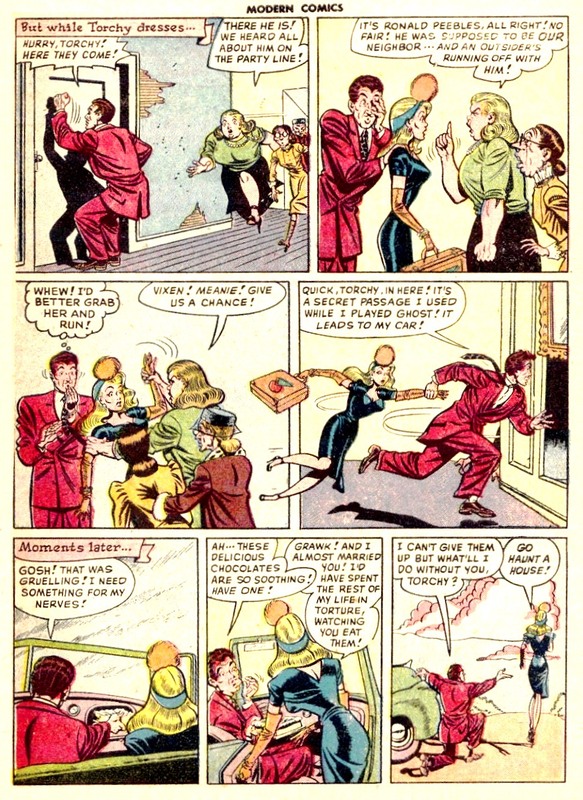 And oh my stars, Doll Girl really turns up the fists in this one-- I seriously love that the sound effect of a hat being pulled down over someone's eyes is "WHAP!" 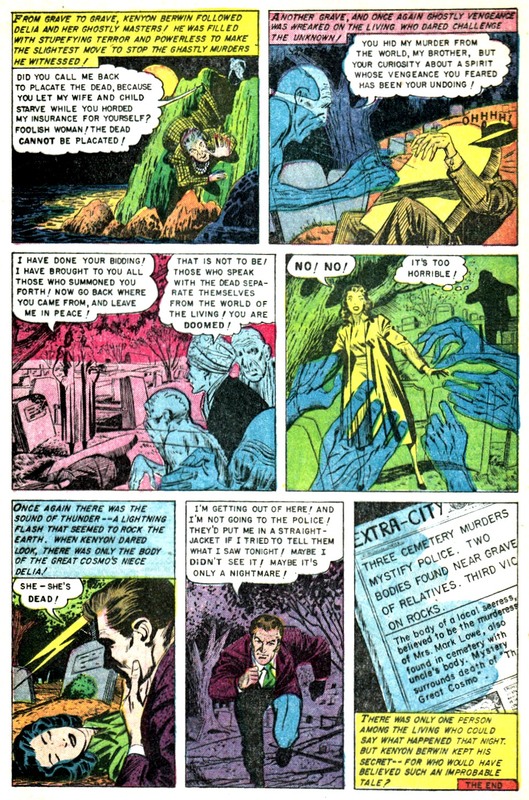 Hmmm, I wonder who chose the color scheme of the Doll Plane though? 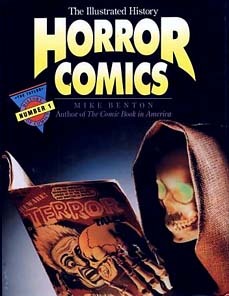 Terror of the Lion's Revenge!